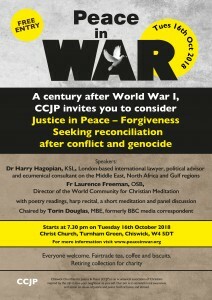 CHISWICK CHURCHES FOR JUSTICE & PEACE (CCJP)’s fifth and final Peace in War event linked to the centenary of WW1 took place in the evening of Tuesday 16th October 2018 at Christ Church, Turnham Green in Chiswick, West London. 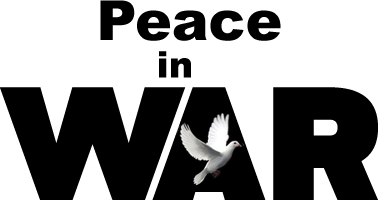 CCJP’s invitation was to an evening of discussion on the continued theme of “Peace in War”. This year’s topic was “Justice in Peace – Forgiveness…Seeking reconciliation after conflict and genocide”. In 2018, the centenary of the Armistice, as we witness genocide and enforced migration on our television screens, we are reminded of the need for justice, security and peace for all peoples. The speakers were Dr Harry Hagopian, KOG, KSL, London-based international lawyer, political advisor and ecumenical consultant on the Middle East, North Africa and Gulf regions and Father Laurence Freeman, OSB, Director of the World Community for Christian Meditation. The evening was chaired for the third successive year by Chiswick resident, Torin Douglas, formerly BBC media correspondent. Readings of poetry and prose introduced a range of issues to do with the human approach to war and its impact on us on an individual level and a societal level as well as touching upon the relationship between the two. They dealt with the human causes of war, the tragedy of war and the barriers to forgiveness. Harry Hagopian’s talk addressed the Armenian genocide, the mass extinction of 1.5 million people between 1915 and 1917, he dealt with the psychology as well as challenges of recognition, justice and reconciliation that persist a century later. This was followed by a beautiful harp recital by harpist Paula Popa. After refreshments, Fr Laurence talk addressed justice and forgiveness, the need to break the cycle of violence and how we all needed to look inside our own psyche for the causes of war. He then led a short meditation. 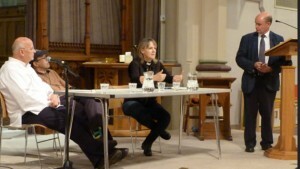 There was then a lively panel discussion for which the main speakers were joined by Revd Martine Oborne. Local MP, Ruth Cadbury spoke to sum up the poignant themes addressed during the evening. We were honoured to be joined by Bishop Hovakim, Primate of the Armenian Church in Great Britain and Ireland, who was kind enough to express his appreciation for the event and talked briefly of the importance of recognition of the Armenian genocide. Lord, we pray for the power to be gentle; the strength to be forgiving; the patience to be understanding; and the endurance to accept the consequences of holding to what we believe is right. May we put our trust in the power of good to overcome evil, and the power of love to overcome hatred. We pray for the vision to see and the faith to believe in a world emancipated from violence, a new world where fear shall no longer lead people to commit injustice, nor selfishness make them bring suffering to others. Help us to devote our whole life and thought and energy to the task of making peace, praying always for the inspiration and the power to fulfil the destiny for which we and all people were created. Amen.